At the beginning of the 2014 International Consumer Electronics Show (CES) in Las Vegas, Chevrolet announced that it will be releasing a first-ever Performance Data Recorder for the 2015 Corvette Stingray. Chevrolet’s new system will allow drivers to record HD video (accompanied by telemetry overlays) so that they can show off their on- and off-track driving skills. 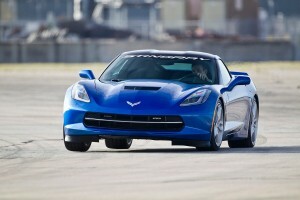 The Performance Data Recorder for the 2015 Corvette Stingray was developed alongside British motorsports engineers Cosworth, who also supplies Corvette Racing with data acquisition and telemetry systems. The PDR was announced as being available at the start of production on the 2015 Stingray, which is slated for Q3 2014; no price point has been determined. Track Mode – Shows all data, including speed, rpm, g-force, location-based map, and lap time. Sport Mode – Displays primarily key data, such as speed and g-force. Touring Mode – Plain Jane; this mode has no overlay. Brought to you by Levis Chevrolet Cadillac in Slidell, Louisiana. Levis Chevrolet Cadillac is proud to be your Slidell, LA Chevy and Cadillac Dealer. We provide new and used vehicles, service, parts and accessories to Slidell, LA and surrounding areas including New Orleans, Baton Rouge, Covington and Gulf Port. We carry a great selection of Chevy and Cadillac cars, trucks and SUVs. Visit our website to see all of the great sales and view our large selection of cars, trucks, and SUVs.